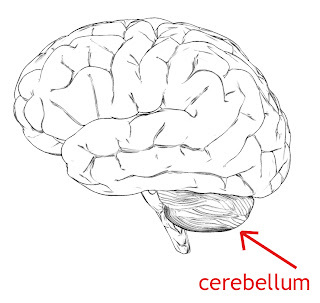 The cerebellum (Latin for little brain) is the region of the brain that plays an important role in motor control. It is also involved in some cognitive functions such as attention and language. The cerebellum does not initiate movement, but it contributes to coordination, precision and accurate timing. 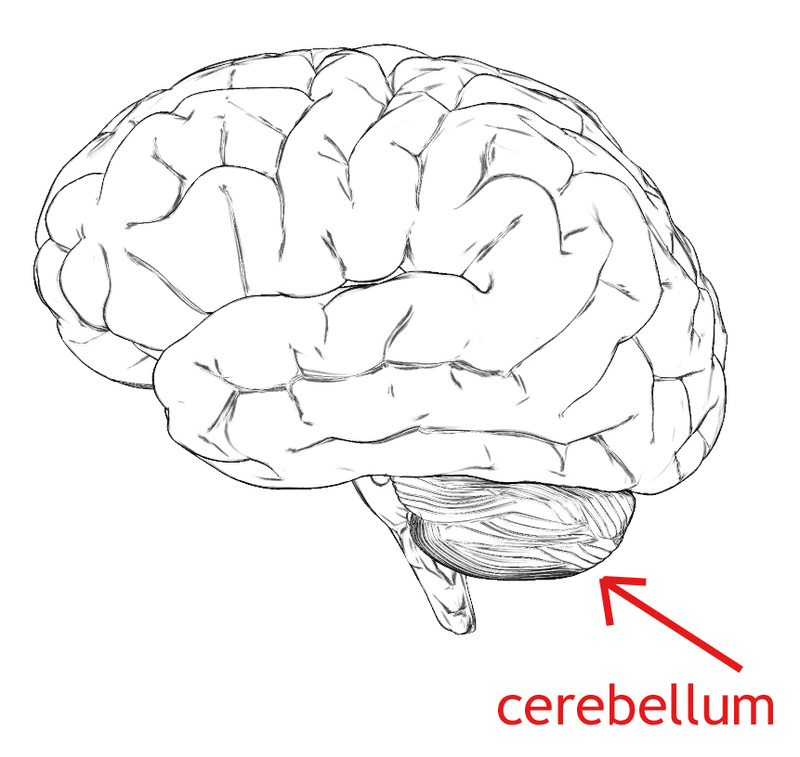 The cerebellum appears to be a separate structure attached to the bottom of the brain. The surface of the cerebellum is covered with finely spaced parallel grooves, which covers up the fact that the cerebellum is a continuous thin layer of neural tissue, tightly folded like an accordion. Within this layer are several types of neurons - and it is this complex network of neurons that allows them their massive signaling capability. The cerebellum receives input from sensory systems, other parts of the brain, and the spinal cord and then uses this input to fine tune motor activity. Because of this fine-tuning function, if there is damage to the cerebellum, it does not cause paralysis, but instead produces disorders in fine movement, equilibrium, posture and motor learning. 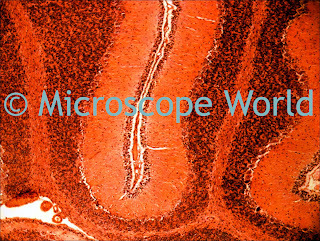 Cerebellum captured under a laboratory microscope using a CCD microscope camera. 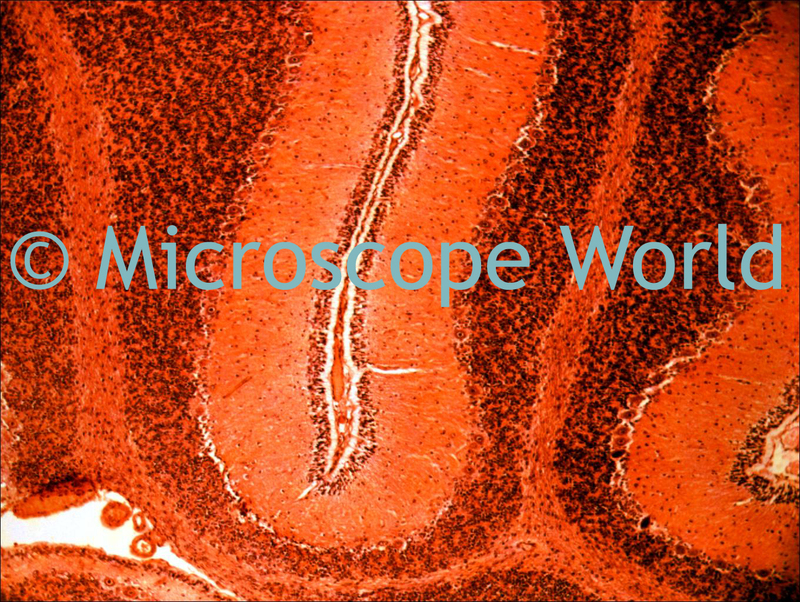 On the microscopic level, each part of the cortex of the cerebellum contains the same set of neuronal elements, laid out with highly stereotyped geometry. There are two types of neurons that play primary roles in the cerebellar circuit: Purkinje cells and granule cells.